Please check the sample project MSNGroups.plp installed with PicaLoader. 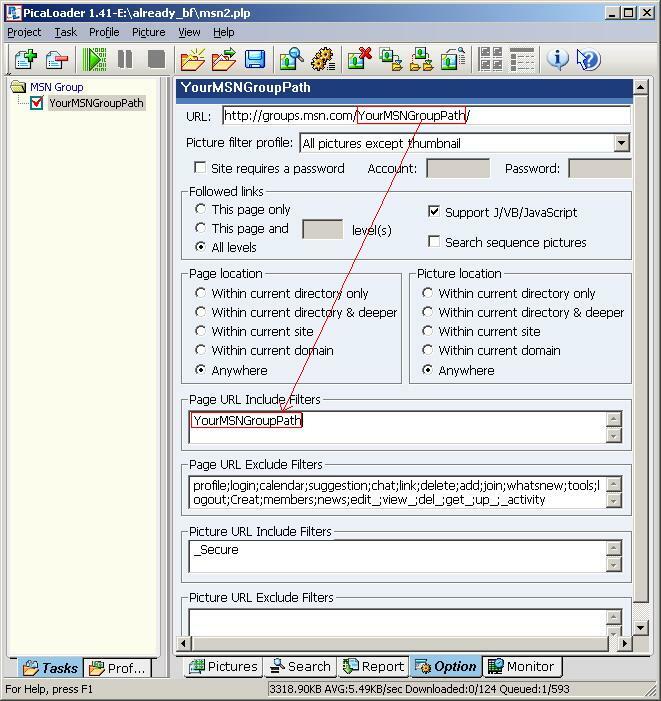 1.Start a new IE instance, sign in into your MSN group with your .net passport, keep this IE instance open, don't close it. 1.Download and install the newest version of PicaLoader from http://www.vowsoft.com/download.htm (no need to uninstall the old version before you install the new version). NOTE: Hosts is the name of the hosts file and not another directory name. It does not have an extension (extensions are the .exe, .txt, .doc, etc. endings to filenames) and so appears to be another directory in the example above. You may have a file called "Hosts.sam". This file is a sample Hosts file (the .sam stands for sample) and can be used by removing the .sam extension so the name is just "Hosts". Then close this IE instance. 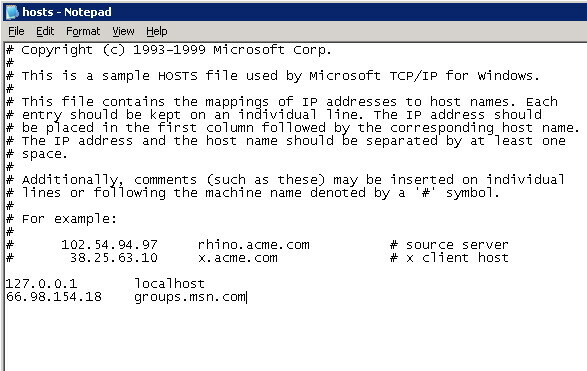 5.Remove the 208.116.45.99 groups.msn.com line just added from Hosts file, save your changes and close Notepad. 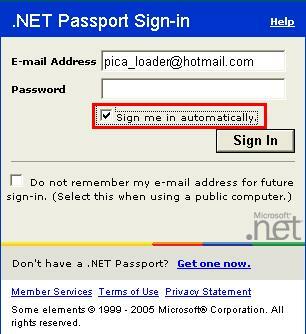 6.Start a new IE instance, sign in into your MSN group with your .net passport, don't forget to check "sign me in automatically".